As a home inspector that services Waverly, Iowa City, Cedar Rapids and everywhere in between, I think no inspection is complete without offering some tips on various items in the home. This weeks tip is to remove your interior window screens. What is an interior window screen you may ask? 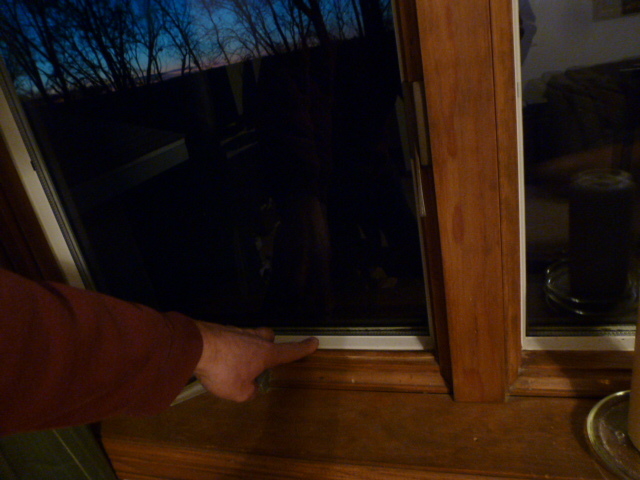 Well, to the right you see a casement window. This is a typical style of window that commonly has an interior screen. The other most common styles of windows that I encounter are single and double hung sash windows which tend to have the screens on the exterior side of the glass. If you have vinyl windows of any style, you need to make sure they are closed and locked during the winter months to keep the heat from escaping. 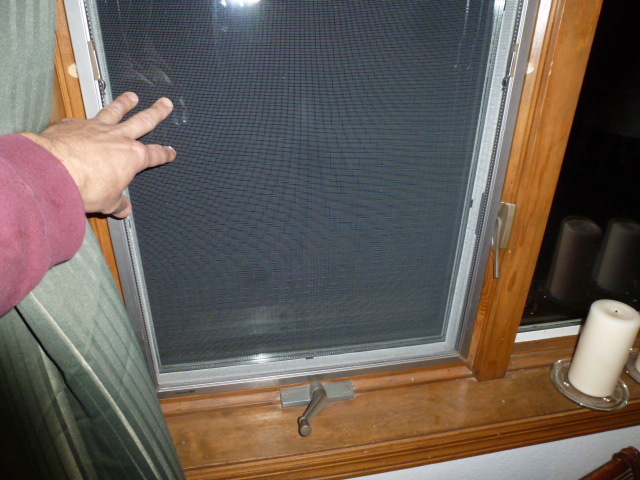 I see one to two homes per week that have unlocked windows that are letting the heat get out during the winter months. As we transition from the fall to winter season, we go through a change in our weather that tends to bring about condensation on the interior side of our windows. As a home inspector I have seen this on both old and newer homes, and it usually happens every year around late October to mid December. As the atmosphere in the home adjusts in moisture level to the dryer/colder winter air outside, the warmer moist air in the home collides with the cold surface of the window and the moisture condensates on the surface of the glass. #1. Removing the screens gives you easy access to the interior side of the glass so that you can wipe away any condensation that develops which will prevent water from staining and/or damaging your window frame. #2. Removing the screens allows naturally occurring convection currents in the home to help to reduce condensation on the glass as the air movement is not disrupted by the screen being in place. #3. In our neck of the woods we need as much light as we can during the cold dreary winter months, so removing the screens allows much more light into the home which may be beneficial for enhancing our mood. The winter blues are no fun for anyone. #4. As a proactive type of person, I like to remove, wash and store the screens for the winter so that when spring arrives I have nice clean screens to install as I open up the home to enjoy the clean spring air. #5 As we go through the transition into winter, you might also try keeping your dehumidifier on and switch your furnace fan to the on position on your thermostat. This may help reduce condensation on the windows as well by circulating the air in the home. I hope you too now see the benefit of removing your interior screens for the winter season. Please visit and Like our Facebook page as well as our other social media places for more home inspection tips and advice.